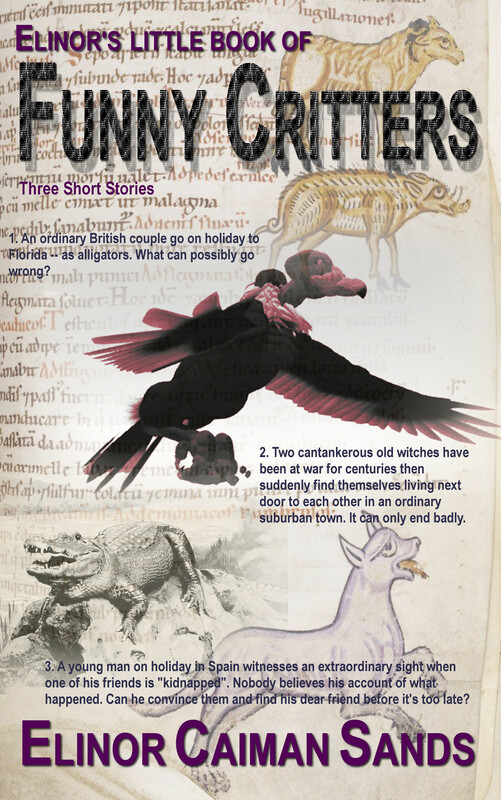 Here we go, two shiny new short story e-books published on Amazon, “The Martian Ascent” and “Elinor’s Little Book of Funny Critters” which includes two previously published yarns plus an unpublished one. I’m having far too much fun creating the covers, it really won’t do at all. I’ve actually redone my Europa Spring cover too though for some reason it hasn’t shown up on Amazon yet. Oh and I have an author page now, too. Yay. 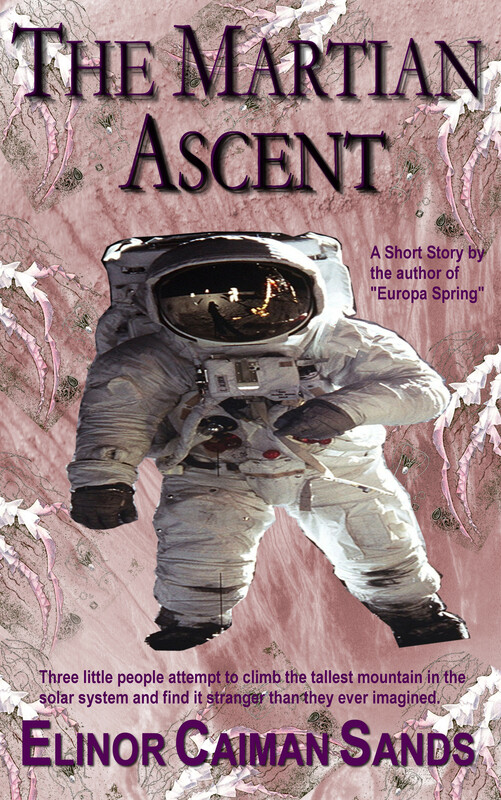 The Martian Ascent. Little people have colonised Mars. Three of them struggle to become the first humans to scale Olympus Mons, the highest mountain in the solar system. But they have to contend with more than just the hostile conditions of the planet. Their climb becomes haunted by eerie noises. They begin to wonder if they are going mad. Does the mountain hold secrets they never imagined? Will they ever make it to the top? 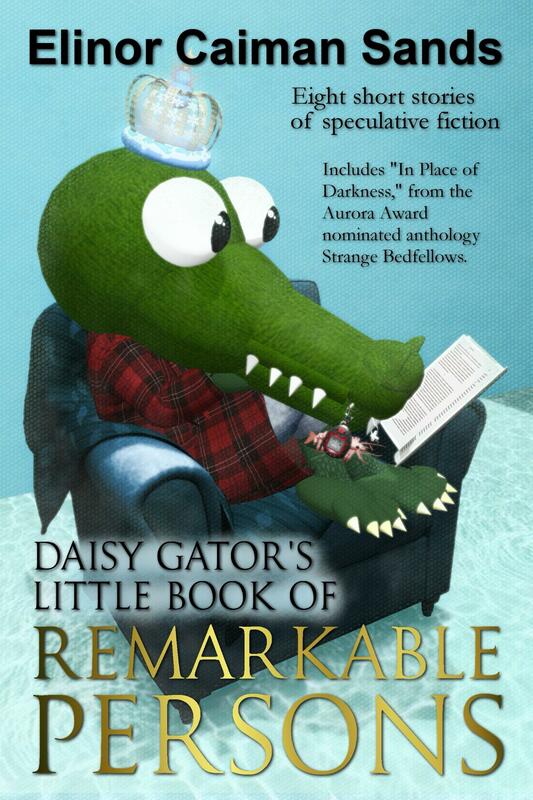 An ordinary British couple go on holiday to Florida — as alligators. What can possibly go wrong? Two cantankerous old witches have been at war for centuries then suddenly find themselves living next door to each other in an ordinary suburban neighbourhood. It can only end badly. A young man on holiday in Spain witnesses an extraordinary sight when one of his friends is “kidnapped”. Nobody believes his account of what happened. Can he convince them and find his dear friend before it’s too late?